36275 ungebraucht (hinged) * postfrisch (never hinged) ** 1924/1933, three sets of the following issues, mint mounted, some mint never hinged, Mundifil no. 299/329; 330/360; 361/381; 386/395; 420/434, 435/450; 531/536; 537/542; 548/53. 36276 ungebraucht ohne Gummi (unused without gum) (*) postfrisch (never hinged) ** 1925, Birth Centenary of Camillo Castelo Branco, assortment of apprx. 660 perf. and imperf. Waterlow proofs within units, also progressive proof 4.50e. (frame only). 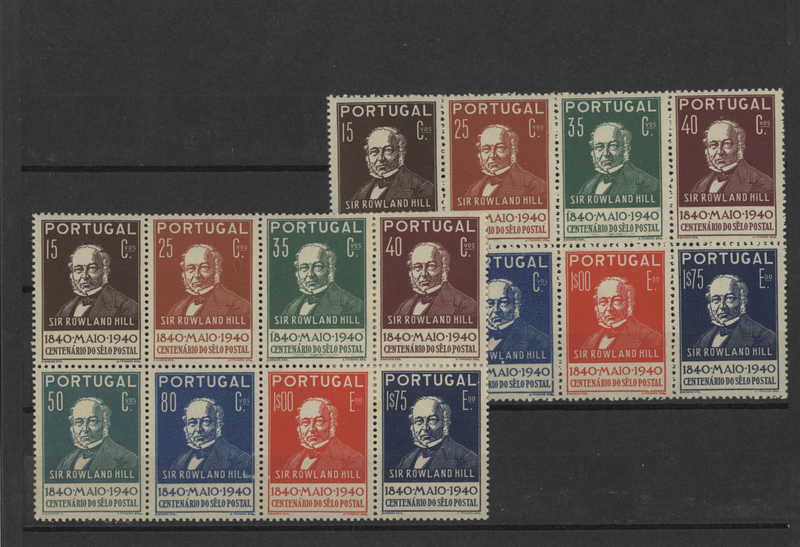 36277 ungebraucht (hinged) * 1925/1933, lot mint hinged of the following issues: Camilo Castelo Branco(Mundifil 330/345) - 10 sets, Indepence III 1928(435/450) - 4 sets, Dom Nuno Alvares (537/542) - 10 sets and overprints 1933 (548/53) - 3 sets. 36278 ungebraucht (hinged) * 385/405 (18) 1926, Independence 1926, 18 sets mint mounted, a few stamps mint never hinged, some with smaller imperfections. 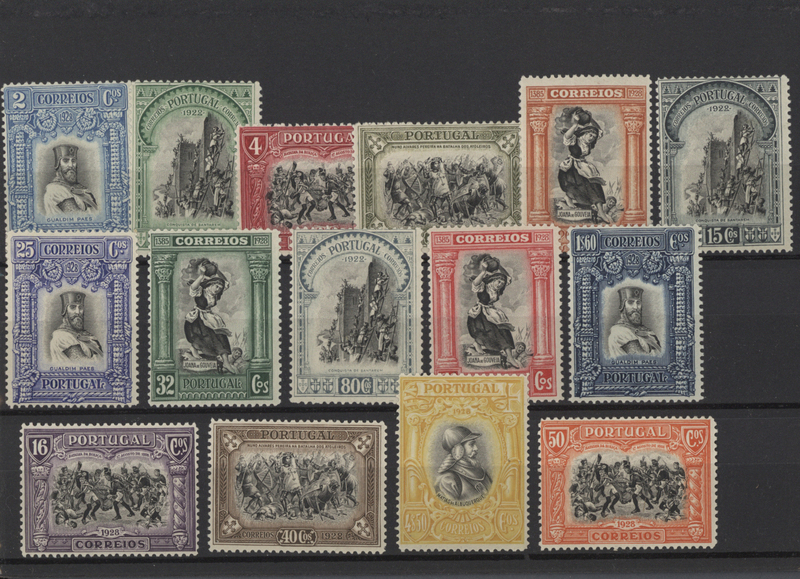 36279 1926/1928, Independence, 10 sets of these issues, Mundifil 361/381; 386/395; 420/434; 435/450 in mixed condition, mint mounted and never hinged, a few with stain spots and thin paper. 36283 postfrisch (never hinged) ** 1940, Independence, souvenir sheet, ten pieces unmounted mint. Michel Bl. 2, 3.800,- €. 36284 postfrisch (never hinged) ** Bl. 1/2 1940, Legion souvenir sheet per four, two with a small tear, usual creases and two copies of block no. 2 MNH. 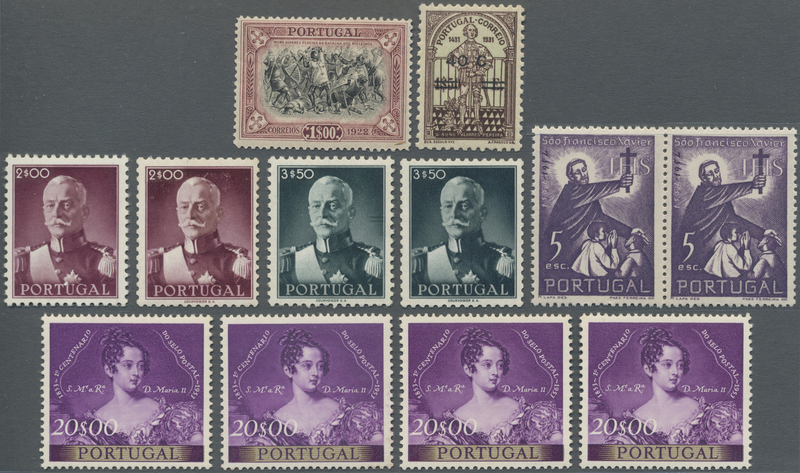 36285 postfrisch (never hinged) ** 1940, Portuguese Legion, souvenir sheet, ten pieces unmounted mint. Michel Bl. 1, 8.500,- €. 36288 postfrisch (never hinged) ** ungebraucht (hinged) * 1940/1941, six copies of block Mi.no. 1, 11 of no. 2 and four of no. 4 with some deficits like creases, smaller tears, stain spots, hinged in the margin etc. Michel for MNH 10.480,- €. 36289 ungebraucht (hinged) * postfrisch (never hinged) ** 1940/1954, ten complete year sets without the souvenir sheets, mint never hinged, some stamps have imperfections like gum creases, attached but many are even mint never hinged: 1940, 1941 (only set "costumes"), 1950, 1953, 1954. Michel - counted mounted only - at least 8600,- €. 36290 ungebraucht (hinged) * postfrisch (never hinged) ** 1940/1958, lot of sets and year set per three, mint mounted, some mint never hinged in fine quality: 1940 without souvenir sheets, 1941 - costumes issue, 1943, 1953 to 1958. 36291 postfrisch (never hinged) ** ungebraucht (hinged) * 1940/1984, stock of stamps and complete year sets, mint never hinged, quite a few stamps mounted, stain spots, creasing etc. Among others contains 1940 - 20 sets without the souvenir sheet, costumes 1941 - 30 sets, 1953 - 4 sets, 1956 without the definitive - 11 sets, 1968 more than 100 sets, 1972 - 80 sets etc. Huge cat. value. 36292 ungebraucht (hinged) * postfrisch (never hinged) ** Bl. 4 (15) 1941, Costums, lot of 15 souvenir sheets mint mounted (stamps always mint never hinged) or mint never hinged, some creases, one with stain spots. 36293 ungebraucht (hinged) * postfrisch (never hinged) ** 1943, ten complete year sets mostly mint mounted, a few stamps even mint never hinged. (Mi. no. 646/664, cat. val. at least 4770,- €). Scarce offer! 36294 postfrisch (never hinged) ** ungebraucht (hinged) * Bl. 7 (26) 1945, navigators, 26 copies of this souvenir sheet, six hinged in the frame or with other imperfections. 36295 postfrisch (never hinged) ** ungebraucht (hinged) * Bl. 7 (25) 1945, navigators, 25 copies of this souvenir sheet, some hinged in the frame, mostly mint never hinged. 36297 postfrisch (never hinged) ** Bl. 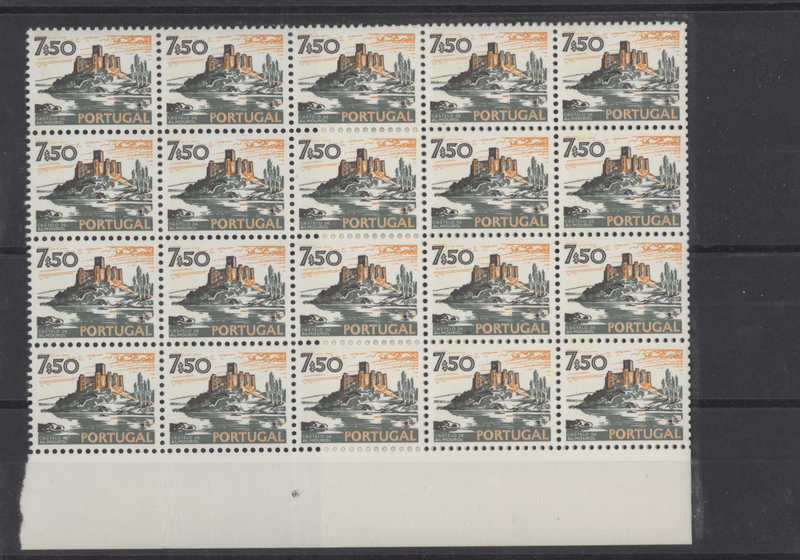 11 (10) 1946, Bank of Portugal, ten copies of this souvenir sheet mint never hinged. 36298 postfrisch (never hinged) ** ungebraucht (hinged) * Bl. 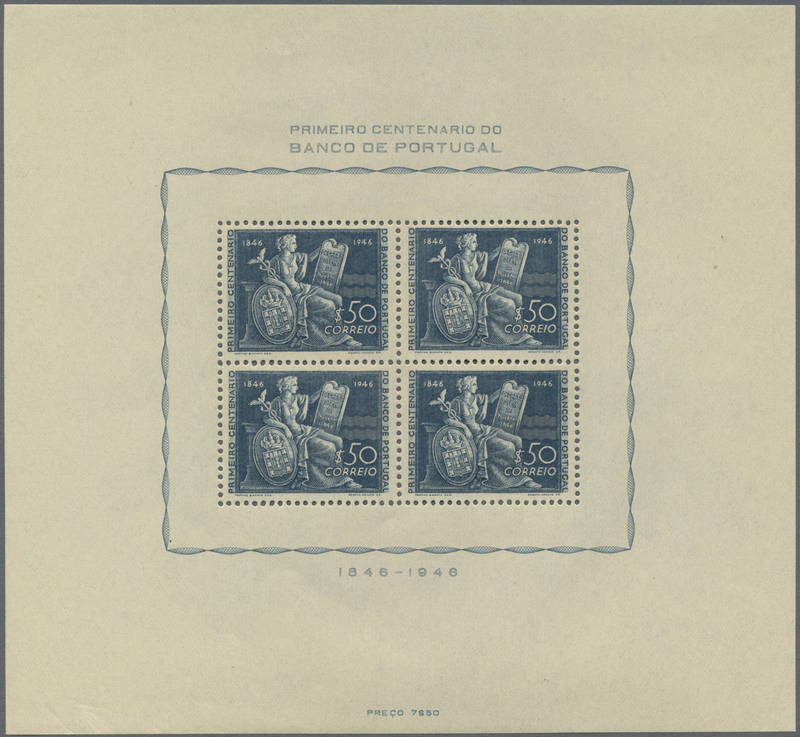 11 (10) 1946, Bank of Portugal, ten copies of this souvenir sheet, five mint never hinged, five mounted, but stamps mint never hinged, folded or other impoerfections. 36299 postfrisch (never hinged) ** ungebraucht (hinged) * 720/729 (7) 1948, complete years per 7, mostly mint never hinged, some mounted, creases, stain spots. 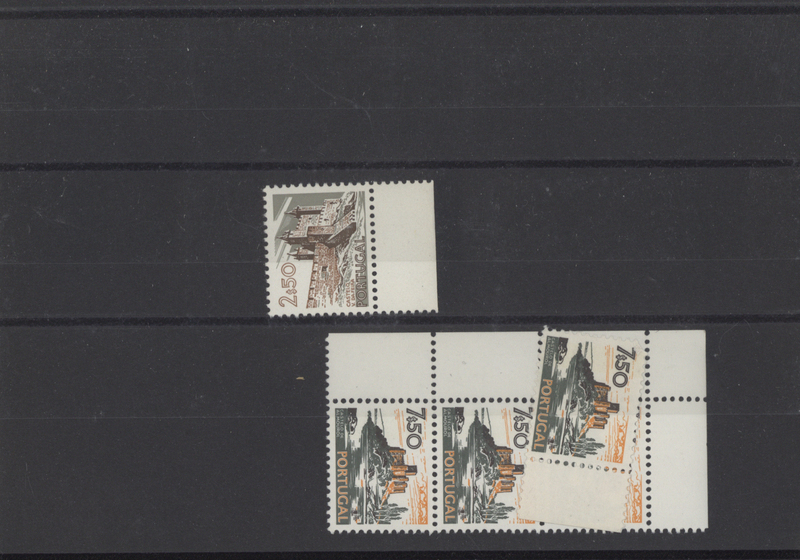 36301 postfrisch (never hinged) ** 1955, complete sets per 54 mostly MNH, some unfortunatelly mounted, stain spots etc. Michel for MNH 6102,- €. 36302 postfrisch (never hinged) ** ungebraucht (hinged) * 1956, ca. 100 year sets without definitive Mi.no. 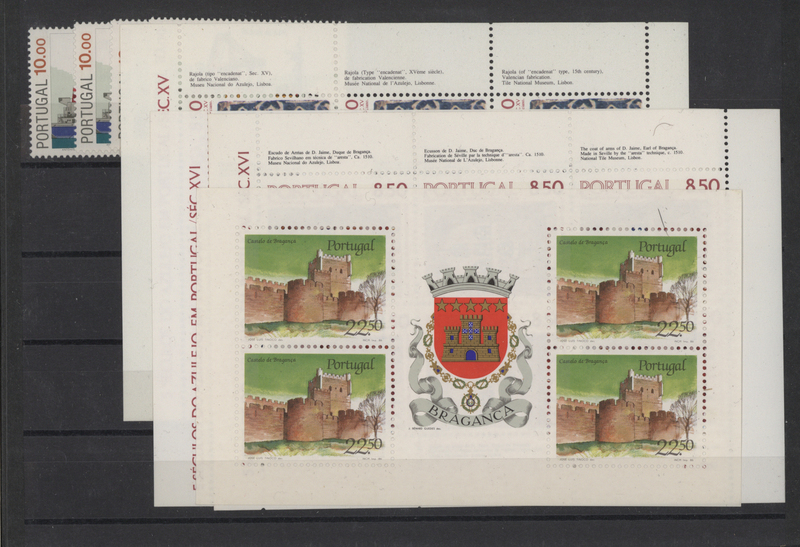 847, MNH, some mounted, stain spots etc., Michel for MNH 13960,- €. 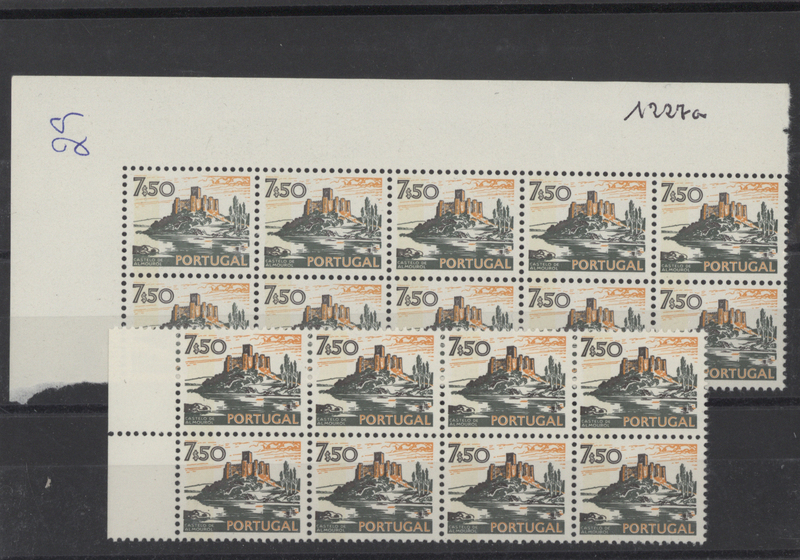 36303 postfrisch (never hinged) ** 1957, at least 140 complete year sets MNH, 80 sets mounted or with impefections. Michel ca. 27000,- €. 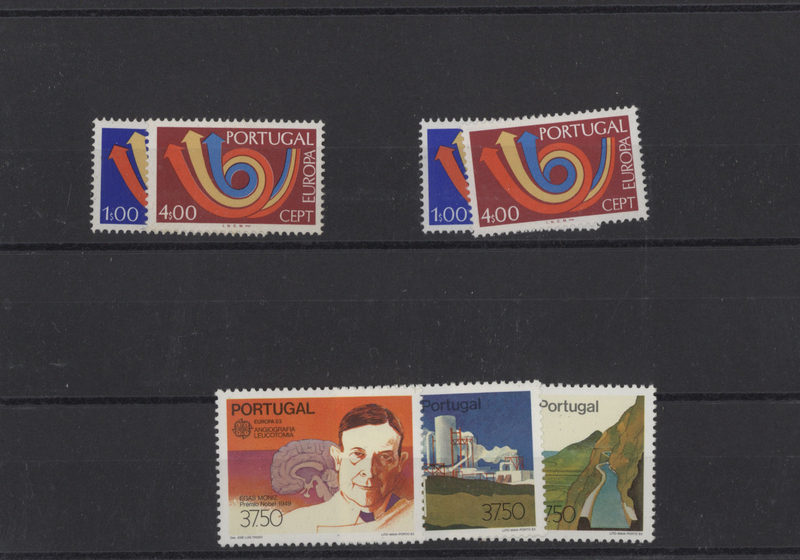 36304 postfrisch (never hinged) ** 1958, complete sets per 141 MNH, some mounted, stain spots etc. Michel 8107,- €. 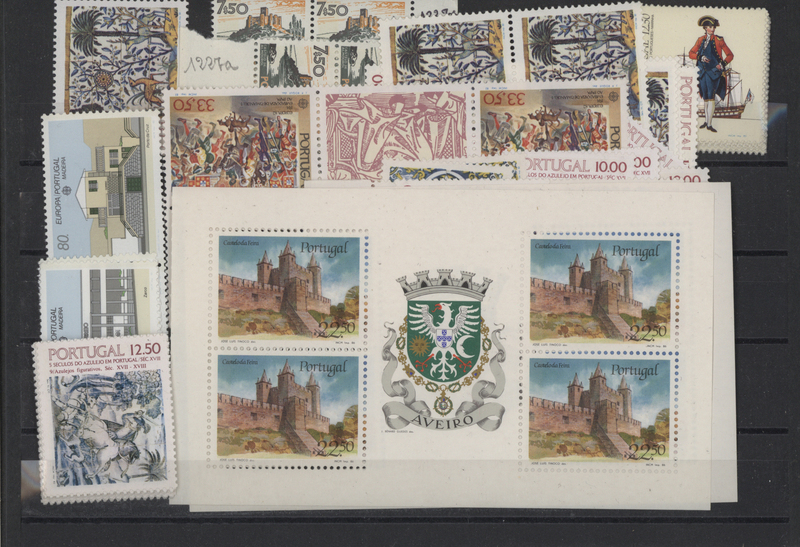 36306 postfrisch (never hinged) ** 1960, complete sets per 319 MNH, some mounted, stain spots etc., Michel 24403,- €. 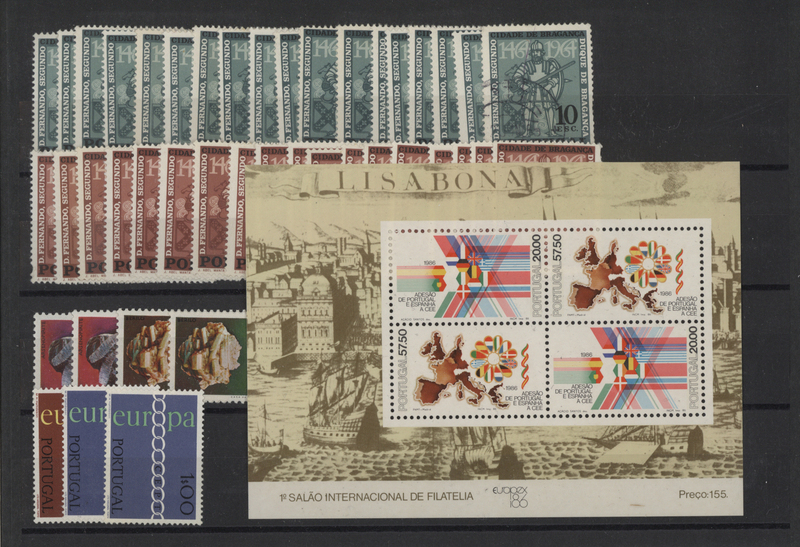 36307 postfrisch (never hinged) ** 1960/1986, stock of the Europa issues, complete sets mint never hinged: 1960 - 300, 1961 - 900, 1962 - 1400, 1963 - 5000, 1964 - 2100, 1966 - 2000, 1967 - 1700, 1968 - 3900, 1969 - 2300, 1970 - 600, 1971 - 1500, 1972- 1100, 1973 - 1400, 1974 - 2600, 1975 - 3700, 1976 - 400, 1977 - 1500, 1978 - 2500, 1979 - 2300, 1980 - 800, 1981 - 400, 1984 - 900, 1985 - 100, 1986- 1500. Michel 963800,- €. 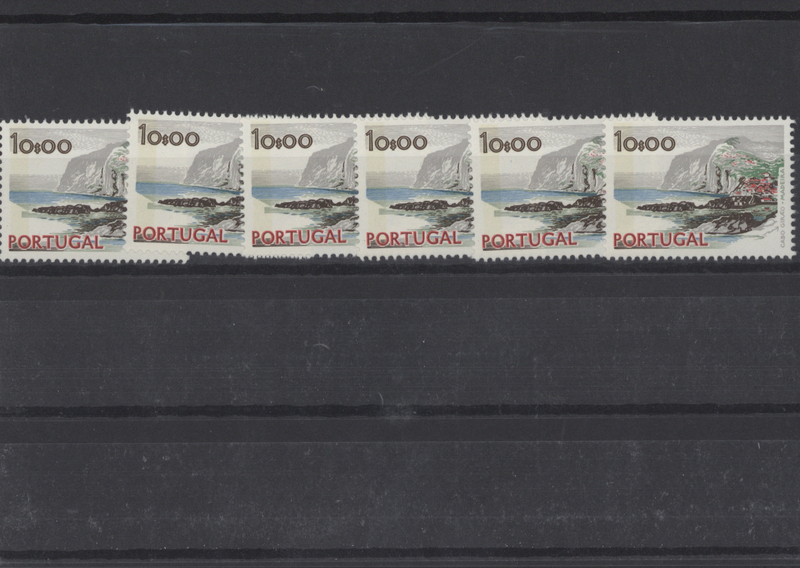 36308 postfrisch (never hinged) ** 1960/1988, stock of the Europa issues in complete sets mint never hinged: 1960 - 600, 1961 - 1000, 1962 - 1200, 1963 - 1900, 1964 - 1800, 1965 - 2600, 1966 - 2300, 1967 - 2100, 1968 - 2400, 1969 - 900, 1970 - 2400, 1971 - 300, 1972 - 1200, 1973 - 1400, 1974 - 1100, 1975 - 2500, 1980 - 1400, 1981 - 1300, 1984 - 800, 1988 - 400. Michel 732850,- €. 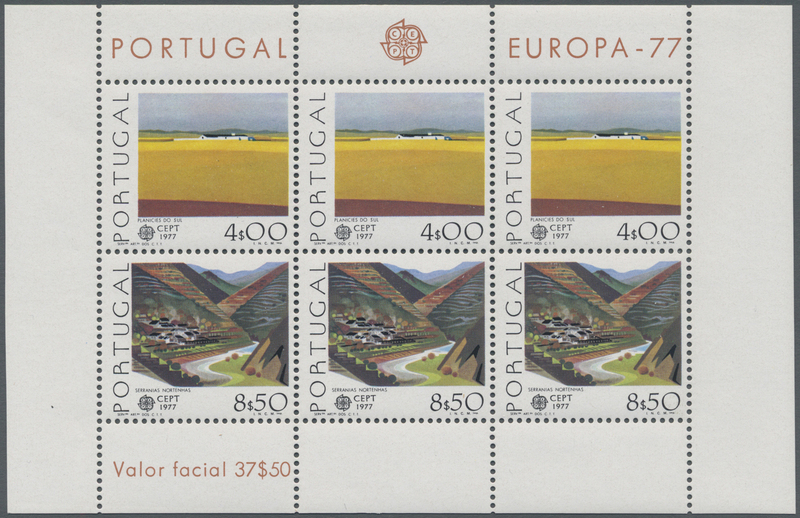 36309 postfrisch (never hinged) ** 1960/1992, stock of the Europa issues, complete sets mint never hinged. List of content enclosed and available in our online catalogue. In total ca. 310.000 stamps. Michel at least 2.486.650,- €. 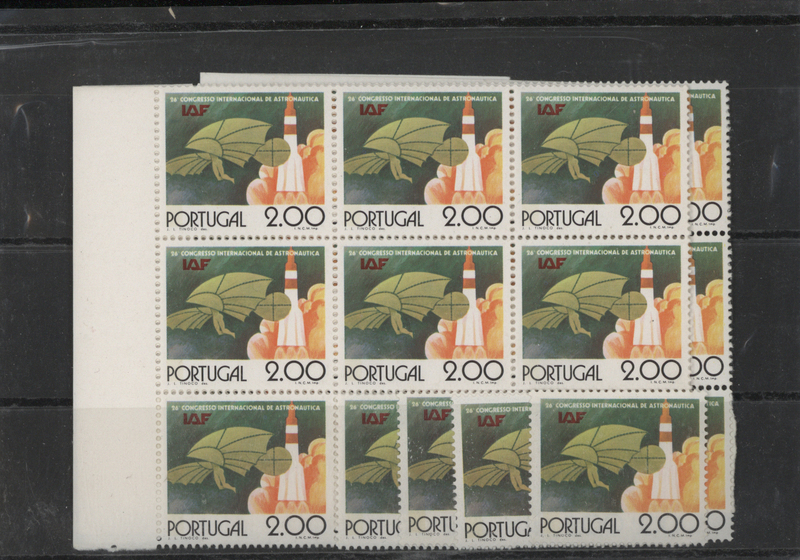 36312 postfrisch (never hinged) ** 1961/1990, stock of the Europa issues in complete sets mint never hinged: 1961 - 1200, 1962 - 400, 1963 - 700, 1964 - 700, 1965 - 1600, 1966 - 1800, 1967 - 1600, 1968 - 1100, 1969 - 600, 1970 - 1300, 1971 -800, 1973 - 900, 1974 - 500, 1976 - 400, 1977 - 500, 1978 - 1000, 1981 - 400, 1982 - 500, 1983 - 700, 1984 - 300, 1985 - 300, 1989 - 1200, 1990 - 1300. Michel 374250,- €. 36313 postfrisch (never hinged) ** 1961/1990, stock of the Europa issues in complete sets mint never hinged: 1961 - 600, 1962 - 1100, 1963 - 500, 1964 - 300, 1965 - 1100, 1966 - 2300, 1967 - 1300, 1968 - 500, 1969 - 1900, 1970 - 400, 1971 - 1000, 1973 - 900, 1974 - 1400, 1975 - 3800, 1976 - 500, 1977 - 1000, 1978 - 1800, 1979 - 3000, 1980 - 800, 1982 - 1100, 1983 - 300, 1985 - 700, 1987 - 800. Michel 694000,- €. 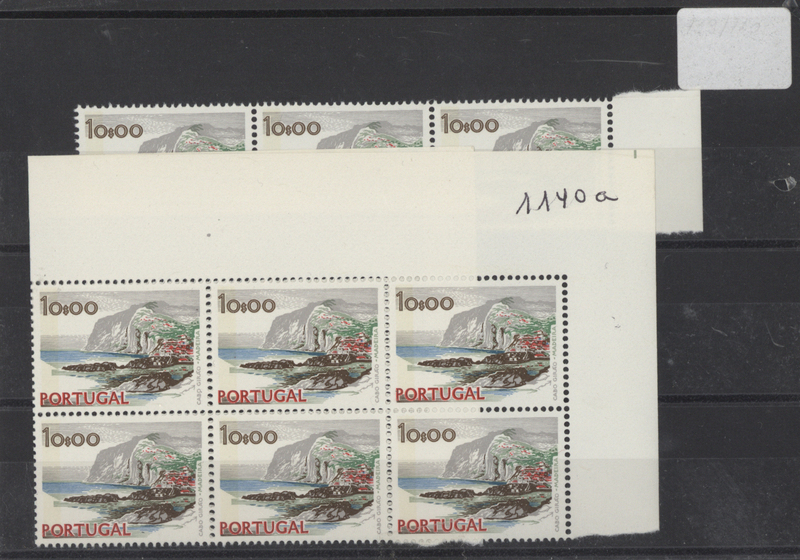 36314 postfrisch (never hinged) ** 1963/1991, stock of the Europa issues, complete sets mint never hinged: 1963 - 400, 1965 - 900, 1966 - 2000, 1967 - 3000, 1968 - 3200, 1969 - 1500, 1970 - 2000, 1971 - 2000, 1972 - 1000, 1973 - 800, 1974 - 800, 1975 - 1300,1976 - 1500, 1977 - 1900, 1986 - 1000, 1987 - 500, 1989 - 700, 1991 - 300. In total ca. 65.000 stamps. Michel 725.450,- €.